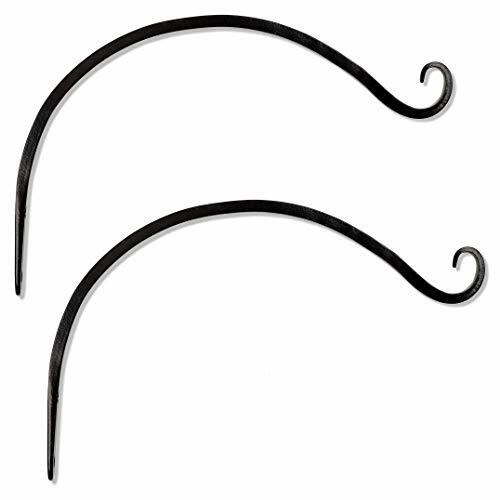 GrayBunny GB-6820B Hand Forged Curved Hook, 14 Inch, Black, 2-Pack, For Bird Feeders, Planters, Lanterns, Wind Chimes, As Wall Brackets and More! - Extends 14 inches from the wall. - Beautiful arch looks visually stunning inside or outside your home.